In high school, I ran cross country and track, and during those experiences, I learned the value of pushing myself nearly to the point of muscle failure. Our season ran from September through November (if we ran well enough to advance past the district level to the regional or state meets). I and my teammates spent a lot of time thinking about how to train in the smartest ways so that we would have enough stamina to outrun others on race day. I loved it. The guys were great, running was great, and processing through how to each race was far more complicated than the “get out there and run as fast as you can” approach that some, maybe even many, took. Any runner who has spent any time trying to get better has learned certain truths. It doesn’t take long to realize you get tired as you continue to exert at a higher and higher level for longer and longer. And all it takes is one race where you go out too quickly to remember that a smart racer will be smart about when he conserves energy and when he chooses to push the pace. Any runner knows that the best way to improve as a runner is to spend a lot of time running, getting better, and learning recognize and push your limits. 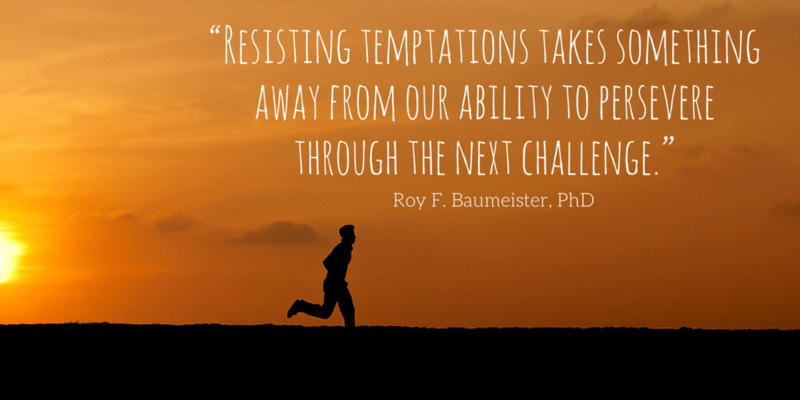 What I realize now (thanks to a keynote by Dr. Roy Baumeister at the Learning and the Brain Conference) is that those efforts were really an exercise in self-control. In fact, Baumeister says that self-control is like a muscle in the same way I considered running (ok, he may have said that first, but the ideas still apply to what I remember of distance running). Specifically, Baumesiter said that self-control is like a muscle. It gets tired after exertion, it wants to conserve energy at times (often so that energy is retained for future use), and that exercise increases strength. Think about the factors that can impact a student’s ability to demonstrate self-control. We often think that self-control is a trait when reality is that it is a skill to be developed over time. But that’s not how we always think. We think some kids can behave and some kids can’t. Or maybe we think that some kids can behave and others just persistently choose not to (usually just to drive us crazy, right?). I’m convinced that Baumeister is right. Self-control is like a muscle, and the more we test it, the closer it gets to failure. I don’t have an answer for every student in every situation (and neither does anyone at the conference I’m at–which is both frustrating and reassuring all at once), but I’m wrestling with how to teach that to students. I really like the two new ideas that Baumeister provided. I’d like to share them here and see what we can think of about how these ideas apply to our efforts to teach self-control to our students. First, he mentioned an article from the Wall Street Journal article about Odell Beckham Jr.’s decision to not only keep from wearing out his dominant right hand, but also grow strength in that left hand by completing everyday tasks with it. “The Secret Left-Handed Life of Odell Beckham” (link) is a great example of someone who is wanting greater control of a part of himself. It’s worth noting that he is as good a receiver as the NFL has right now, so it’s not like he’s doing this because he can’t keep up on his own. He’s wanting to get better, and I can’t wait to find ways to package this for student viewing. Part of me wishes he had a list of things we could to to help our students “use the other hand” to develop more resilience, but I think I’m happy the question is still out there. I’m still mulling this over myself, and I’m benefiting from the thought process. I love the image and how plain it makes the risks of the temptations that come at us. The more I think about it, the more I think I’m convinced by Roy Baumeister’s compelling comment that there are similarities between working out a physical muscle and working out our self-control. That part is easy to nod along with, but the implications are significant. Every coach knows that athletes will be pushed and will sometimes fail. Is that how we treat students who are being stretched in their ability to demonstrate self-control? But that’s the task at hand. Teenagers experience a surge in brain plasticity during adolescence, and it’s our job to make sure we are helping stretch, grow, and cultivate students’ ability to demonstrate greater and greater self-control. Let’s collaborate on this. How will you begin to put this into practice? What ways can you think of that help students to “use the other hand” or avoid the sirens on campus? I have a few ideas, but I’d love to hear what you think. 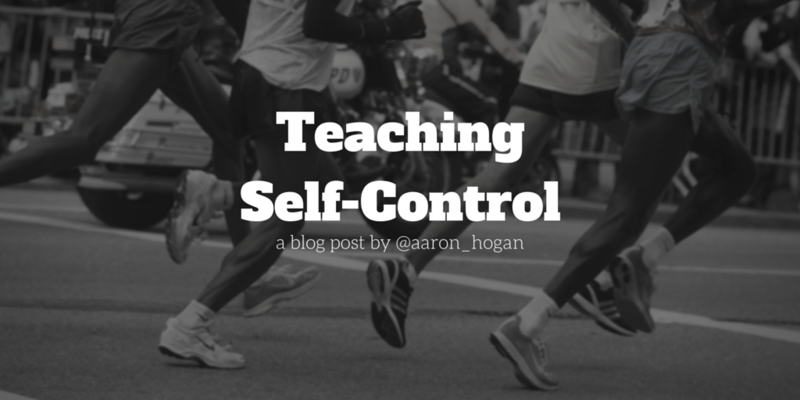 Leave a comment with an idea or some inspiration for others who are working to help teach self-control. I work in a residential treatment facility as a SpEd inclusion teacher and I would love to learn more about teaching self control because a majority of the students I work with were extreme behavior problems in the public schools. This is my first year at the facility after teaching over twenty years in public schools as a general education teacher. I believe there is a great need for this conversation and how we can help students with behavior problems. One strategy I try with my students is to build a positive mindset. This idea comes from reading Angela Watson’s book “Awakened” which is for teachers but can work with students. I try to teach them to reject their negative thoughts and replace them with positive thoughts. I have several students that cannot seem let go when something they perceive as negative has occurred. I would love to hear about other ways to teach self control. Wow, I cannot imagine how your brain must be on overload after this conference. It’s a really description/explanation to internalize. We need self-control but we also need to have enough left for the next challenge? Zeus shouldn’t have made it a challenge? I’m not sure that’s what it all meant, but I will be thinking about this for a while. Is offering students a distraction mechanism when they feel they are about to lose it an example of what Zeus should have done? Should we let certain lack of self-control instances slide in order to strengthen self-control for the next event? Complicated, but worth a good think. It breaks my heart when I see 5 and 6 year olds lose their self-control to a level that they are thrashing about a room. For them, and all the kids who need to develop self-control or a mechanism to deflect situations that will set them off, I hope this Dr. Baumeister is truly on to something that can put control back in the hands of our beautiful children. As for what I’ve seen work. A bag full of items that offer sound, texture, and visual stimulus in a non-threatening way. Objects that can be used to spend some of that energy that is brewing and an understanding that the use of this bag is in their hands. It’s worked for some children, they go to it when they feel they are losing it, use it for while until either they’ve forgotten what was brewing, or it has lessened to a manageable burn in their little minds and hearts. I don’t know much about this but I do believe that finding measures that put the student in charge of self-control is the best way to go. External controls (us) will only get them so far. I think that I really didn’t say anything of substance, but believe me when I say, this is at the heart of one of my biggest daily heartbreaks.